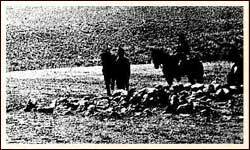 Mountain Meadows Massacre Descendants | This site is dedicated in loving memory to our ancestors who died at Mountain Meadows, Utah September 7-11th, 1857. 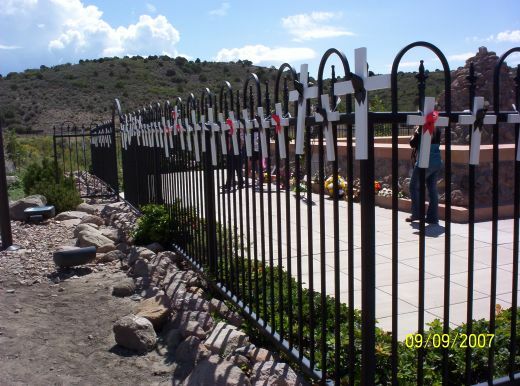 The Mountain Meadows Massacre Descendants site is dedicated in loving memory to our ancestors who died in the massacre at Mountain Meadows, Utah September 7-11th, 1857. 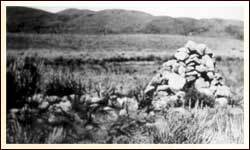 120 men, women and children traveling in the wealthy wagon train headed to California were killed at Mountain Meadows. Only 17 children were allowed to live–all under the age of 7. This site is for the descendants and family members of those who died at the Massacre so that we can share family histories, photographs, remembrances and research. We welcome and value input and expertise from historians and others interested in the Mountain Meadows Massacre. Hi Billy. So, SOOOOOO sorry for this slow reply. I’m trying to find someone who has time to answer each comment. Anyway, we have several Wood family members in our group. Contact Dianna Gencarelli (Wood Family) at dgencarelli1@cox.net. We’d love to have you join our group! Our annual meeting will be held this year in Harrison, Arkansas on September 11th. William Wood was my ggg grandfather. You can contact me Cindywalker1120@gmail.com. Solomon and William would were also my great great grandUncles. They were brothers to Nancy Wood who married Thomas Patterson, whom are my great-great-grandparents. I too would like to correspond with other wood descendants. Hi Billy. Sorry, haven’t been surfing the net much of late, been focusing on my husbands side of the “family tree” Anyways, William Wood (Solomon’s brother) was my Great-Great Grandfather. My email is jowood419@gmail.com if you want to connect up. I have quite a few Wood family members on my ancestry tree, so if you want to share your email, I can hook you in and you can see. Soloman Wood and his brother William Wood are my GG Uncles. You may contact me at dgencarelli1@cox.net. To all of the dear decedents of those brave and wonderful victims of the Mountain Meadows Massacre: You are all loved and are very special because you are a living link to this heart breaking event. Surprisingly, I’ve never heard of this horrendous offense until these past few days and it deeply broke my heart to discover it, despite the fact that it happened 160 years ago and it has no relation to me at all, except that these innocent people are fellow Americans. I know that I would have loved all of these brave adventurers on this Fancher-Taylor wagon train. All of these brave families that gathered all of their possessions and livestock, and were brimming with excitement to be traveling to a new land that they felt was full of fresh promise and happiness for themselves and their children. Now, as I even just go to the grocery store, I see wonderful people walking around buying food off of the shelves, and I think these people are no different than those innocent massacred on Sept. 11 1857, and it just breaks my heart to think how anyone would want to hurt them. Partly because they never had their justice for this terrible offence and partly because I’ve never known about it until after my 67th birthday. I just feel that this sad event should not go unnoticed by anyone. will the ceremony to return the remains of the victims collected by the military in 1859 be held this year.. sept 9 2017?? anyone have more info on the ceremony to return remains on Sept 9 2017?? a skull and more were collected by the military in 1859 and stored in DC ever since.. If you go to mmmd1857.org, click on news and then the June 2017 newsletter, you will find the info you are looking for. Im deeply sorry for that horrible event. I would like to attend this year anniversary and honor the dead. Im from Colombia,live in Orem. How can I get there? I have just recently discovered that I am a descendant of the Tackett’s that suffered through this. I’m not exactly sure how, but if someone could fill me in I would be greatly appreciative. Thanks! Hi Christina. Sorry for the slow reply! This might help….To help with genealogy questions, click the “Massacre” button, then click on “genealogy”. Is Bob Fancher alive is there a contact number for family.His gggrandfather was also mine. He came from first wife I came from second wife.Would like to get in contact with family. Hi Linda. No, sadly Bob died a couple of years ago. I am a Fancher. Could I maybe help? I believe that I am the great great great grandson of William Wood whose pregnant wife was left home with a child while he and his brther Soloman traveled west to secure a home. They were in charge of cattle to my understanding. His wife lost the baby and his other child later in life died of pneumonia in jail awaiting trial for stabbing a man he found in the act of sleeping with his wife. So I have been told. You will be my cousin then. I descend through Nancy Wood, sister of William Wood. Nancy is my Great-great grandmother. Have you gone to any of the MMM reunions? Is there any news on the location and dates for the annual meeting this year? What are the dates of the next annual meeting? Also, does anyone have any information about survivor Mary Miller? Malinda Cameron Scott Thurston lost track of her niece and nephews. When I did what Mormons are suppose to do, study things out in theirs mind… this whole event became very overwhelming for me. It was like the internet was giving me clues to the truth. First when I read a quote from Joseph Smith Jr. That “He feared for his life because he spoke out against Brigham young and his teaching of blood atonement. When I learned that Brigham young taught “killing you neighbor is a way of loving your neighbor as yourself… are you willing to do this?”. “This is not what the Lord ment,if I caught one of my wife’s in adaultry, I would put a javelin threw her heart. When I read that Brigham young organized the robbery of the wagon train, in that first raid 8 people were killed. The information for me was when i read about the killing of the children in the wagon train and that the only ones that were saved were under the age of eight. I got so sick inside because I knew that Mormons believe that every child under the age of eight is without sin and I knew that Brigham teaching of blood atonement had been carried out. These early saints believed because of the teaching of their prophet that killing these people was a way of loving their neighbor as themself because they were helping them to receive interance into the kingdom of heaven by paying for the blood of the prophet Joseph Smith and or parsley p. prait by their own blood being shed, according to the teaching from their prophet Brigham young. Joseph Smith Jr was right, this was a faults doctrine and teaching. Which lead to killing of men, women and children. I think about this awful massacre every day. i don’t know any of the descendents, but I pray for them every day because I know that is what those precious immigrants who were ruthlessly betrayed, bushwhacked and their bodies left in the field to be consumed by animals and openly decompose, would want me to do. I know that Alex Fancher and his party of men, women and children would want all who hear of their plight to tell the true story to as many others as we can and shed light to what the perpetrators would want left in the dark forever. Let the Mountain Meadows Massacre be as well known throughout this land as the sad 9/11 date that it shares with the World Trade Center Massacre. This was a terrible tragedy and very unknown in American history (for obvious reasons). What I found to be most alarming, is that the Utah Mormon church, still lays blame on the Fancher- Baker party, while “kissing-up” to the descendants of the emigrants. Unfortunately, I currently live in Utah, and my children were raised in the public school system. They learned first-hand, how the Mormon history teachers, LIE about this massacre. Utah, and the Mormon church, are “married” in an adulturous affair. How can I find out if I am a descendant? I have a very small family and don’t know any family history.